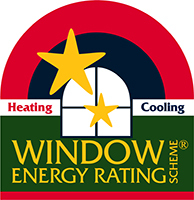 It’s well worth checking out uPVC windows and doors. This revolutionary new material is eco-friendly, durable, easy to clean and helps to insulate your home! That aside, it’s also a practical choice that is available in a range of different finishes. uPVC is the easy way to make any space look amazing. The interior design possibilities are almost endless, and today we’re going to take a look at just a few! First of all, uPVC can be used for the frames of your sliding doors. These double glazed sliding doors in Sydney can be the focal point of your space, especially if they’re the back door in an open plan eating and living space. You can create a beautiful contrast by installing darkly finished uPVC door frames in your home. Just make sure that you choose a room that features a lot of light. Light walls, furniture, décor and even subtle lighting can all help to create the perfect mood. You may even wish to position some downlights near the door frames, as sometimes darker paint themes can “sap” a room of its light. This is an ideal option for those who prefer their door and window frames to appear traditional. uPVC windows and doors in Sydney are available in a range of different timber colours. From natural to medium and dark finishes, there is a range of choices. One way to achieve a stunning interior in your living space is to choose a medium timber colour for your door and window frames. This is done to complement natural, unstained timber flooring. You’ll end up with an organic touch to your living room. Top this off with some minimalistic furniture such as a small coffee table and a couple of armchairs. Another option is to choose a darker timber frame. This is a bold statement, and not for the faint-hearted. This will work well with a medium-stained floor and darker furniture. Here’s a choice for those who prefer things to be more upbeat. Choose light creams or whites for your uPVC window and door frames. Balance these out with some medium-stained timber furniture, such as a nice table or dresser. Finish the look with white frosted glass for your lighting. This design will have you grinning every time you walk into your room. This option is for those going for the ultra-modern look. Choose a silver, chrome or metallic frame to match a contemporary interior. This colour scheme will complement grey or dark kitchen countertops and concrete flooring with sparse wall decorations. Cover your windows with some simple Venetian blinds to finish the look. If you’d like some professional advice about your interior, please give Mint Windows and Doors a call. We’d love to help you, and look forward to hearing about your renovation or building plans!